Do you ever consider the downloaded video fairly disordered? 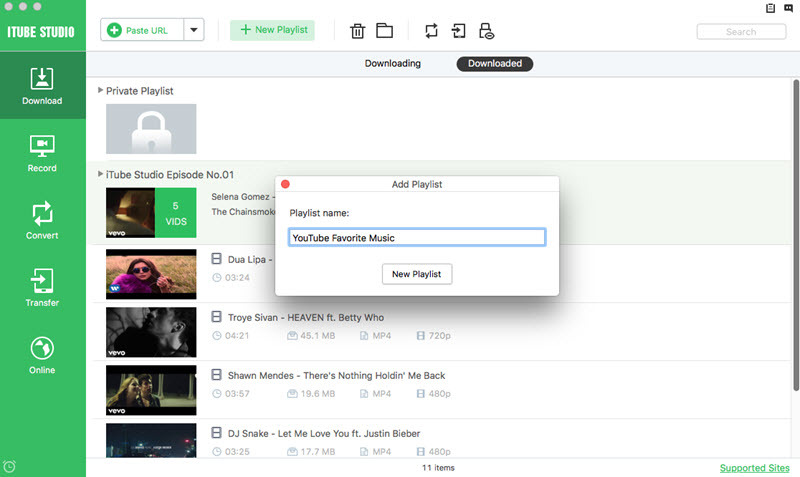 With iTube Studio for Mac, you can easily manage your downloaded videos by sorting and creating Playlist according to your own taste, below we will show you how to create a Playlist in iTube Studio Video Downloader for Mac! 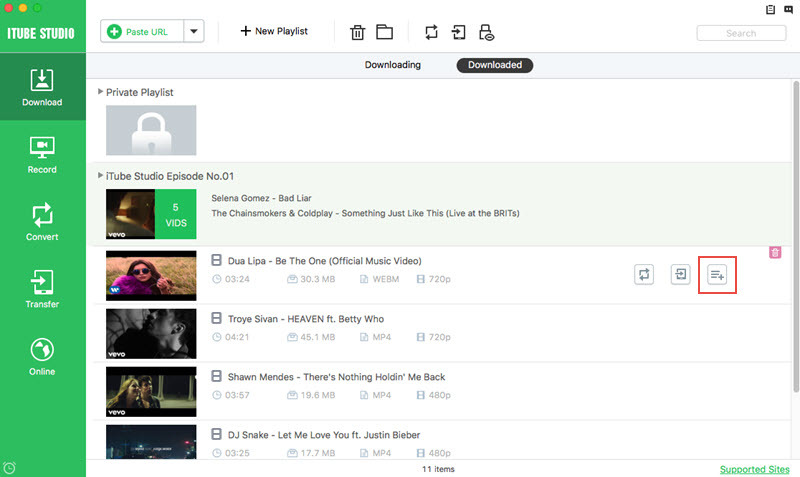 In the Downloadded tab of Download category, you will see a "New Playlist" button on the top bar. Click the icon and type in a name for your Playlist, and then click the "Add Playlist" button to finish the creating process. Move your mouse the display bar of downloaded videos, you will see several icons which refers to Add to Conversion List, Add to Transfer List and Add to Playlist correspondingly. Click the icon for Playlist and you will see all your Playlists including the private list, choose one to add the downloaded videos. For YouTube Playlist, Lynda Playlist or Playlist of other sites, you will get the Playlist of videos in Downloaded tab directly after downloading.